Gear VR: How do I install the Gear VR software? Gear VR - How do I install the Gear VR software? 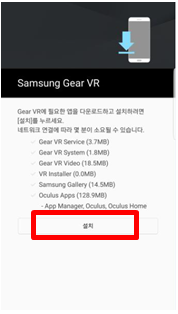 Q: How do I install the Gear VR software? A: You must install the Gear VR software in order to use the Gear VR. When you connect the mobile device to the Gear VR for the first time, the set up process automatically begins. Note: Connect your mobile device to an active cellular network or Wi-Fi connection before performing the setup process. 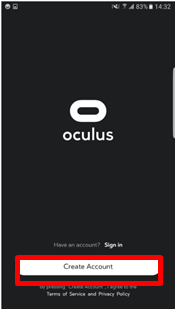 1) If using the device for the first time, go to www.oculus.com to create an account and follow the onscreen prompts. Unlock your mobile device and turn up the volume. 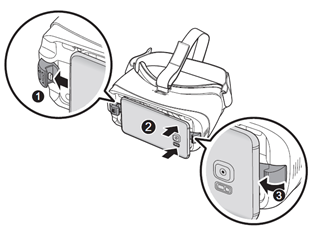 Carefully install the compatible mobile device into the Gear VR compartment. 2) At the voice prompt, separate the mobile device from the Gear VR. 3) Tap START on the Welcome! screen and follow the prompts. 4) Read and agree to the health and safety warnings, and the terms and conditions in the End User License Agreement (EULA), and then tap “Next”. 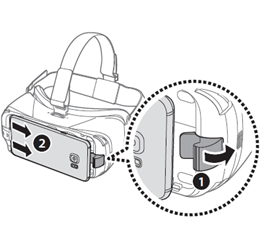 A : To use the Gear VR, you must manually install the Gear VR software. 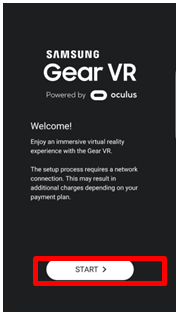 When you connect the mobile device to the Gear VR for the first time, the software installation will start automatically. 6) When prompted, tap Sign In and enter your previously created email and password. Follow the onscreen prompts to configure your account. 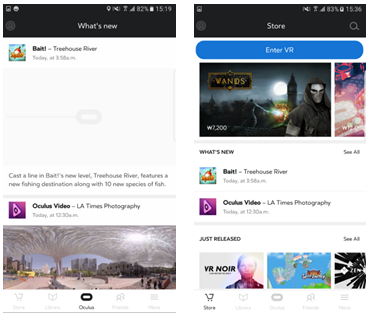 7) When the software is installed, the Oculus app will appear on the Apps screen of the mobile device. Reconnect your mobile device to the Gear VR and place the Gear VR on your head. Note: If the screen appears tilted or skewed while using the Gear VR, take it off and then place the Gear VR on a flat surface. Wait 5-7 seconds before using it again.